This classic fit Our Legacy shirt is made from a firm irregularly woven cotton poplin. 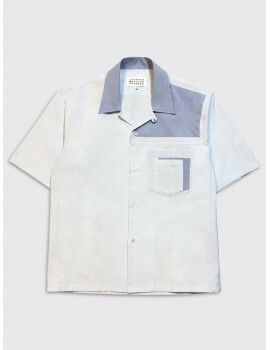 It has been garment dyed and features a classic collar, chest pocket and mother of pearl buttons. chest 59,5cm / 23.4" 61,5cm / 24.2" 63,5cm / 25" 65,5cm / 25.8"
shoulder 50,5cm / 19.9" 51,5cm / 20.3" 52,5cm / 20.7" 53,5cm / 21.1"
sleeve 63,5cm / 25" 64,5cm / 25.4" 65,5cm / 25.8" 66,5cm / 26.2"
length 80cm / 31.5" 81cm / 31.9" 82cm / 32.3" 83cm / 32.7"
This short sleeve Maison Margiela 10 shirt is made from a dry cotton poplin with a retro telephone print. 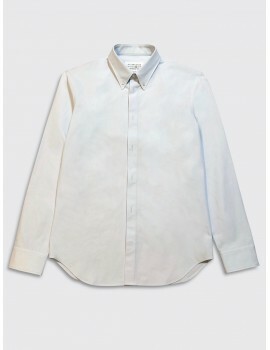 It features a classic collar, short sleeves and mother of pearl buttons. This Comme des Garçons SHIRT shirt is part of the Forever capsule collection and is made in France from a Premium cotton poplin. 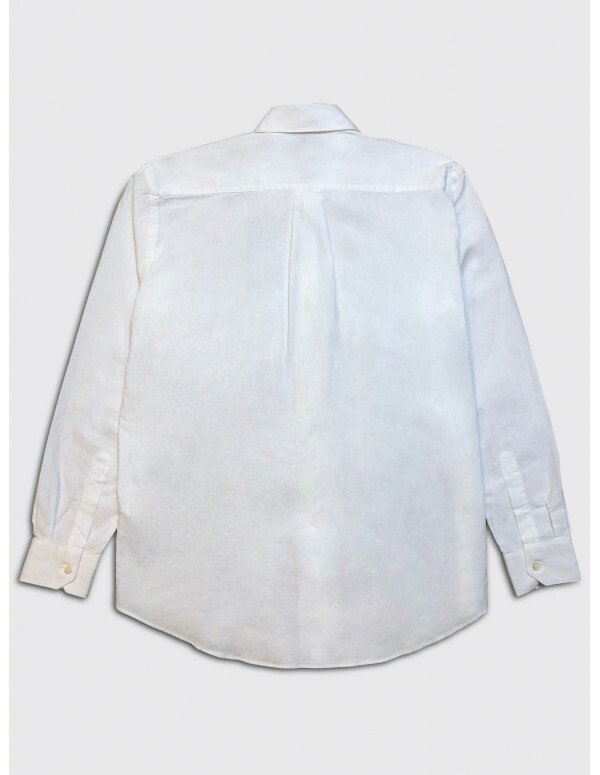 It features a classic collar, small chest pocket and mother of pearl buttons. 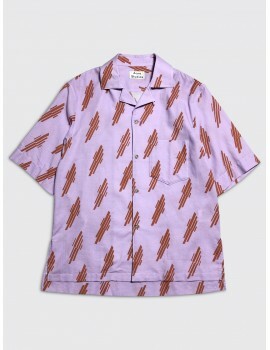 This relaxed fit Acne Studios shirt is made from a cotton waffle weave with a diagonal abstract print. It features a camp collar, chest pocket and side seam vents. 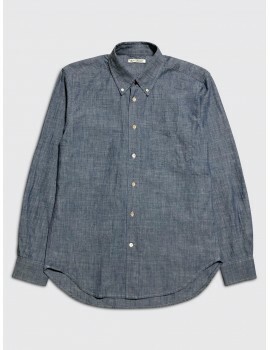 This classic fit Our Legacy shirt is made from a Japanese hemp and cotton blend chambray. 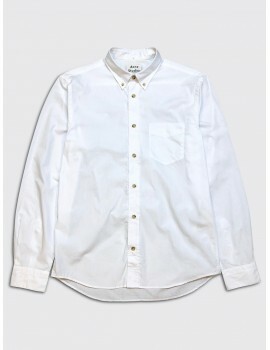 It features a classic button down collar, chest pocket and mother of pearl buttons. 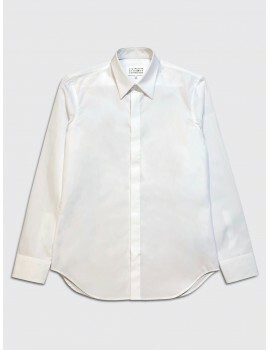 This classic fit Lemaire shirt is made from a soft cotton poplin. It features a classic collar, dropped chest pocket and vented hem. 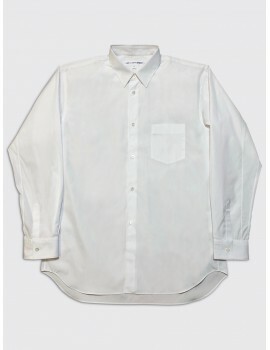 This classic fit Dries van Noten shirt is made from a compact cotton poplin. 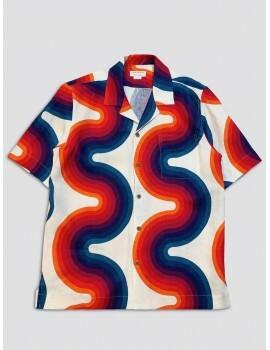 It features a classic collar, short sleeves and an embroidered Verner Panton pattern running across the chest and arms. 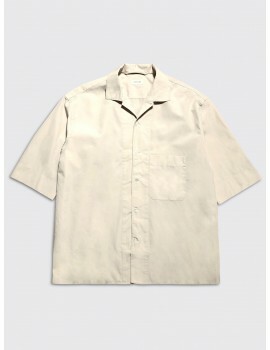 This short sleeve Maison Margiela 10 shirt is made from a premium tumbled canvas with a rigid handle. It features a camp collar and various cut out details on the shoulder and chest. 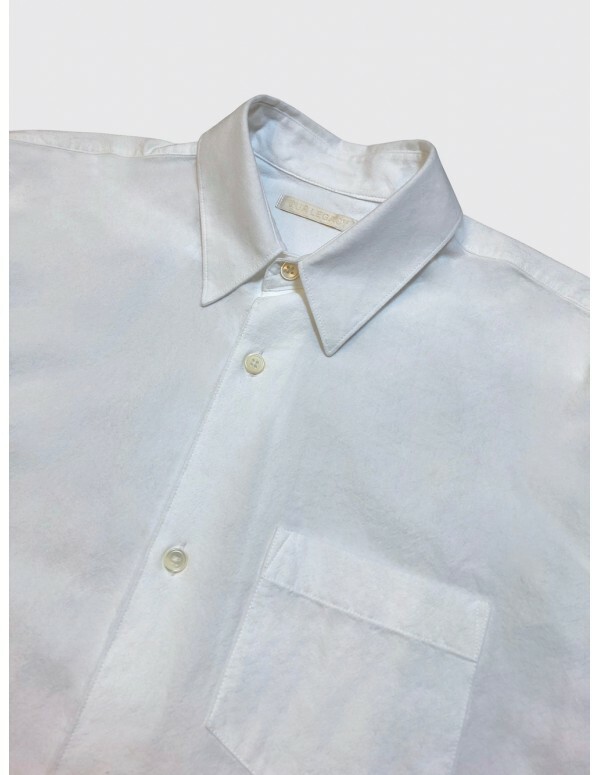 This classic fit Our Legacy shirt is made from a pigment dyed Chinese raw silk/ It features a classic collar, a single chest pocket and mother of pearl buttons. 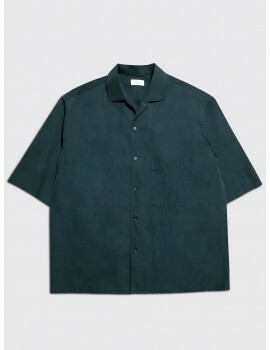 This oversized fit Acne Studios shirt is made from a premium cotton gaberdine. It features a classic collar, double stitching and corozo buttons. 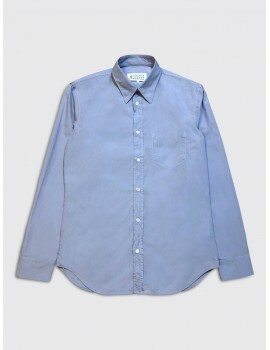 This regular fit Acne Studios shirt is made from a soft Italian cotton poplin. 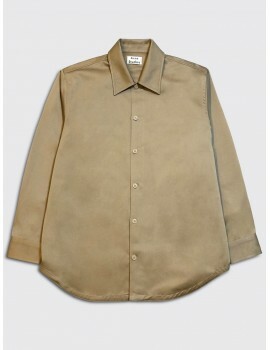 It features a button down collar, single chest pocket and tonal corozo buttons. 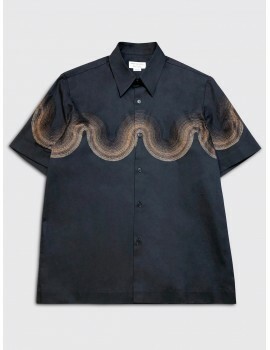 This classic fit Dries van Noten shirt is made from premium woven linen with a colorful Verner Panton wave print. 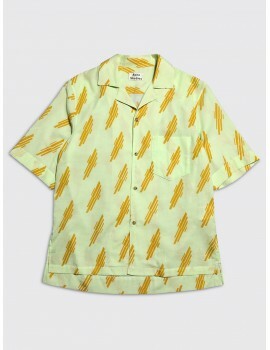 It features a camp collar, a single chest pocket and a vented hem. 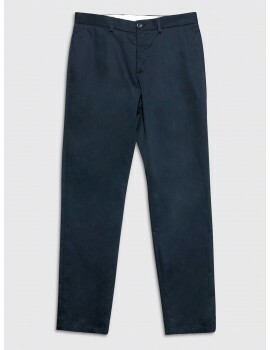 This slim fit 7d shirt is made from a medium weight Italian cotton poplin. 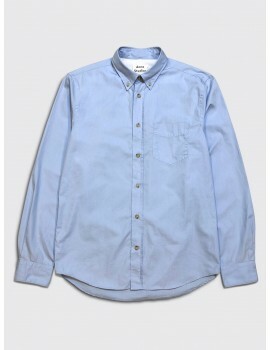 It has been garment dyed and features a classic collar and mother of pearl buttons. 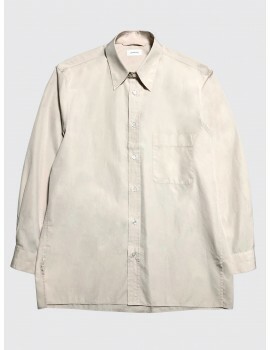 This classic fit Lemaire shirt is made from a soft cotton poplin. 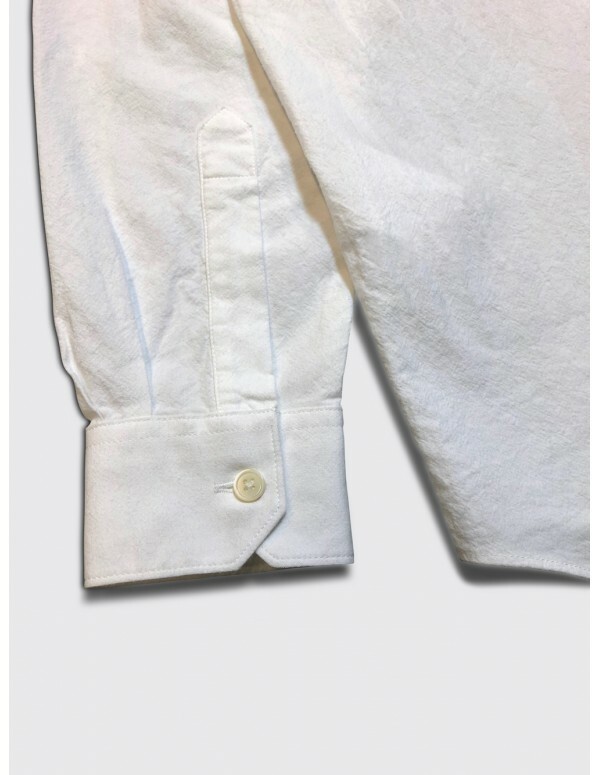 It features a camp collar, a dropped chest pocket and mother of pearl buttons. 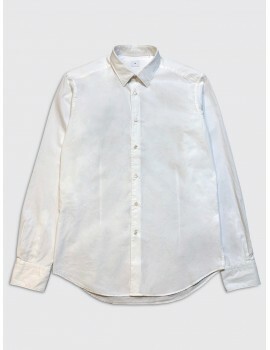 This slim fit Maison Margiela 14 shirt is made from a crisp cotton poplin. It features a classic collar, concealed button placket and the iconic four white stitches on the back. 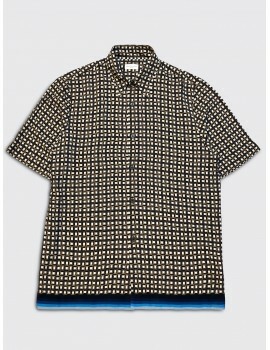 This classic fit Dries van Noten shirt is made from a soft, fluent viscose with a retro print. 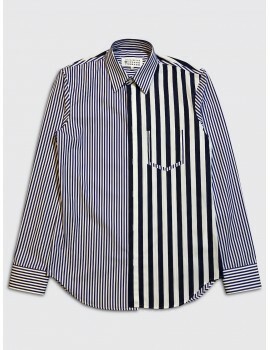 It features a classic collar, short sleeves and a blue striped pattern at the hem. 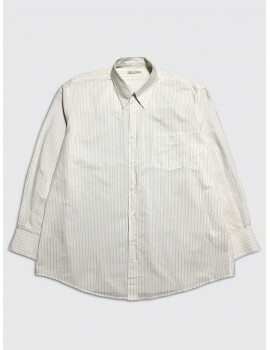 This slightly oversized Our Legacy shirt is made from a cotton blend poplin with a fine striped pattern. 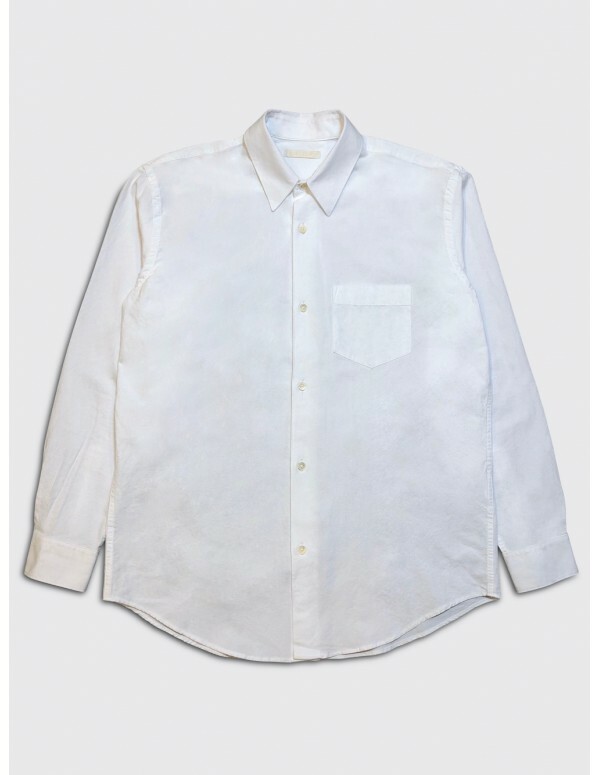 It features a hidden snap button down collar, a single chest pocket and mother of pearl buttons. 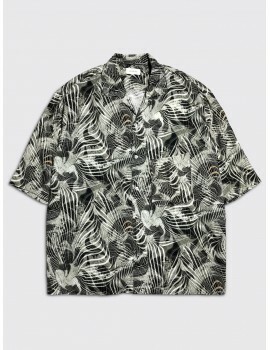 This classic fit Lemaire shirt is made from a premium soft viscose with a tropical marble print. It features a camp collar and a single chest pocket. 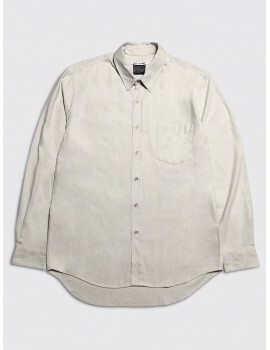 This regular fit Maison Margiela 14 shirt is made from a premium tumbled canvas with a rigid handle. 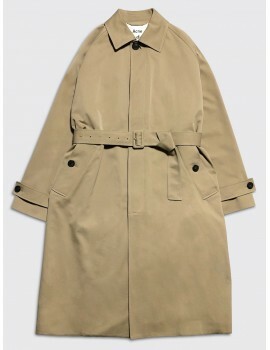 It features a button down collar and a concealed button placket with buttonholes. 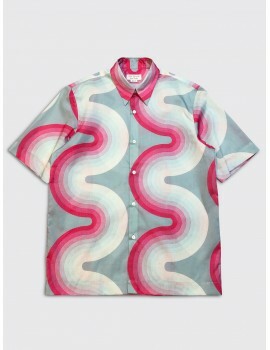 This classic fit Dries van Noten shirt is made from a lightweight cotton poplin with a colorful Verner Panton wave print. 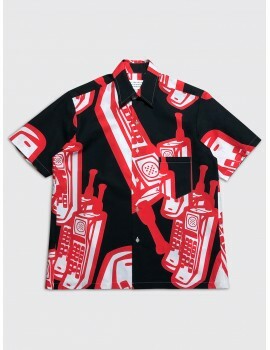 It features a classic collar and short sleeves. 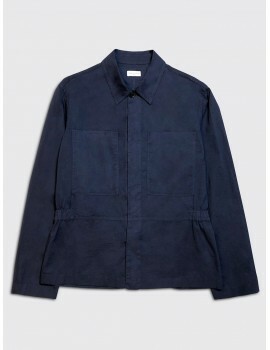 This classic fit Dries van Noten overshirt is made from a lightweight washed cotton poplin. 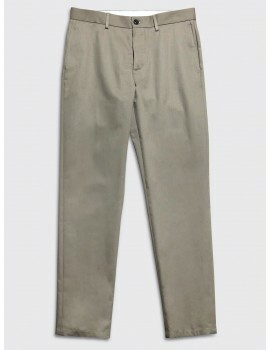 It features a concealed button placket, large chest pockets and an elasticated waist. 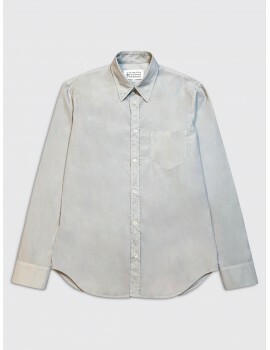 This slim fit Maison Margiela 10 shirt is made from a crisp cotton poplin. It has been garment dyed and features a classic collar, mother of pearl buttons, and the iconic four white stitches on the back. 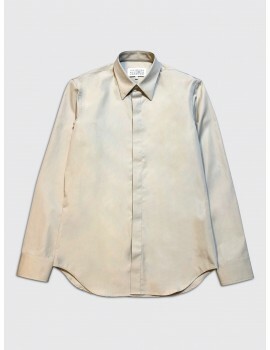 This slim fit Maison Margiela 10 shirt is made from a fine cotton poplin. It features patchwork panelling and various cut out details. 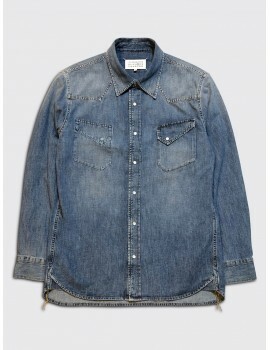 This regular fit Maison Margiela 14 vintage denim shirt is made from a premium cotton denim. It features a ghost pocket, mother of pearl press stud buttons and the signature four white stitches on the back. 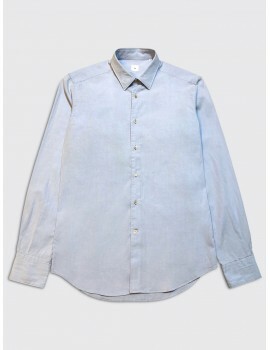 This regular fit 7d shirt is made from a medium weight cotton chambray. 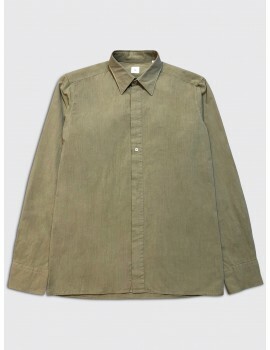 It has been garment dyed and features a classic collar and mother of pearl buttons.